Harbor Retirement Associates (“HRA”) is a vertically integrated regional senior living development and management company, focused primarily on Assisted Living and Memory Care communities, but also engaged in the development and operations of Independent Living and Skilled Nursing communities. HRA operates 30 communities in 7 states and is partnering on the construction of 8 more communities in 7 additional states. HRA manages over $150 million in revenue and approximately $1 billion in assets while employing 2,000 associates. An industry leader, Burkhalter provides complete solutions in engineered heavy lifting, rigging, and transportation for petrochemical, power, civil, and marine industries around the world. With locations in Columbus, Mississippi, and Houston, Texas, and sales offices in San Francisco Bay Area and others located throughout the U.S., we are proud to serve the petrochemical, power, civil, and offshore and marine industries throughout North and South America. Founded in 1982, NRI developed its pipe repair systems for application within the marine industry. As the original inventors of the moisture-cured, pre-impregnated composite material, NRI caught the attention of the U.S. Navy and, in 1996, secured its first contract with the U.S. government requiring NRI’s Syntho-Glass® system to be carried aboard all Navy vessels. Since 1998, Girard Environmental Services (GES) has become one of the largest privately-held commercial landscaping companies in the United States. Headquartered in Sanford, Florida, GES has 9 branch locations, 180 vehicles and provides full-time employment for approximately 450 individuals. National Oak Distributors, Inc. is the country’s premier Automotive Paint, Body and Equipment (PBE) warehouse distributor. In addition to having the largest distribution footprint in the industry and reaching over 95% of the population with next day delivery, National Oak customers are served by the largest, most knowledgeable network of sales and customer service associates in the industry. Additionally, National Oak’s customers enjoy the highest fill rates, stocking over 20,000 products in it’s 14 warehouses. Family Financial is a holding company for a chain of 20 pawn stores focusing on the Hispanic community in Florida and Puerto Rico. Founded in 1960, the Orlando-headquartered Crane Rental is a leading provider of equipment and services for projects requiring heavy lifting, rigging and hauling. 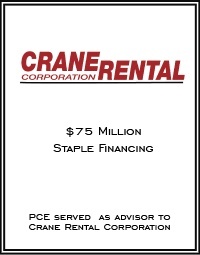 Power plant construction and maintenance, industrial manufacturing, office buildings, theme parks and infrastructure development are among Crane Rental’s clients. Since their beginning in 1974 a lot has changed in the aquatics construction and design industry. The principles on which Weller Pools was founded, however, – quality, integrity, and an unrelenting dedication to client satisfaction — have never changed. American Door & Millwork was founded in 1995 by Mr. Chad Barton and Mr. Bob Dello Russo in direct response to builder demand for a reliable and scalable door supplier. 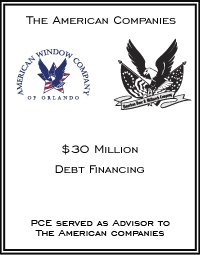 American Installation was subsequently formed to perform all installation work for the door company. 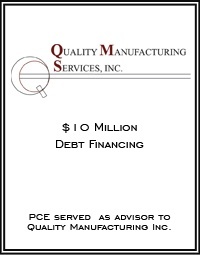 QMS is a full-service Electronics Manufacturing Services provider, located in Central Florida’s technology hub. Founded in 1995 and emerging as the region’s premier Electronics Contract Manufacturer, QMS is an Employee-Owned company with the resources to deliver a wide range of services to a broad spectrum of industries and technological requirements.